The year 898 and the Vikings made their first recorded sortie to what is now known as Baldoyle. It is, however, unlikely that this was the first incursion here by the Ostmen as some writers note their presence her as early as 852. Their settlement was probably not in the location that we today regard as Baldoyle. The raiders almost certainly sailed their boats up into the Maine River as far as the area around what we know as Stapolin House (the name Stapolin is the Norse for the title Steach Poilín, the house of Polin). The Danish (Baldoyle) group settled down and did not live up to their reputation as marauding raiders. Recent study shows that the native Irish were four times more likely to attack Irish settlements than were the Danes. In 1166 Dermot McMurrough (brother-in-law of St. Laurence O’Toole) endowed the Priory of All Hallows with the lands of Baldoyle to build a monastery here. 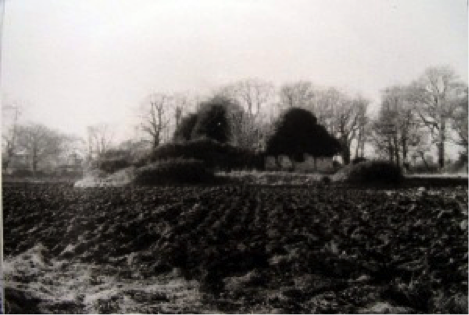 The monks built a farmyard, and any home farm owned by a monastery was known as a grange or granary. The last Prior of All Hallows, Walter Hankoke surrendered the abbey and its property to the royal commissioners in 1539. We have no report on how the people practiced their religion for the next fifty years but we do know that with the advent of Queen Elizabeth I to the throne of England the parish here contained an entirely Catholic population. The people dared not use the church which had fallen into ruin. 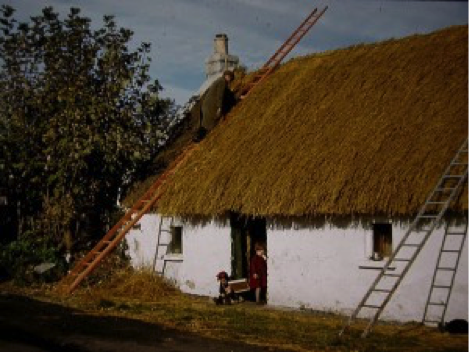 However, in 1609 the church was repaired by the tenant (“tithe farmer”) of the Grange, Thomas Fitzsimons, with the assistance of the local people. Although the church was repaired, it cannot have been used for long as Archbishop Bulkeley’s report of 1630 stated it to be “altogether ruinous”. All Hallows which was situated on the site now occupied by Trinity College, Dublin, had extensive land possessions (including Baldoyle) in North County Dublin, and all of these were now bestowed on Dublin Corporation for “their loyalty in opposing and suffering the rebellion of the Geraldines”. A man named Nugent seized 4 messuages, 5 cottages, 200 acres of arable land, 12 acres of meadow, 12 acres of woodland, and 12 acres of pasture from Prior Hankoke. In the subsequent division of these lands, the Grange of Baldoyle and over 220 acres of good arable land were granted to Sir Edward Fitzsimons. The Corporation were expected to pay the crown treasury the sum of £4.4.0¾ rental per annum forever. This area was probably the medieval village of Baldoyle. Thus it was that the lands and dwellings of Baldoyle remained in the hands of Dublin Corporation until modern times while the lands of the surrounding townlands were owned by the Howth Castle family. Baldoyle and the adjacent townlands were predominantly farming lands with some of the villagers in the coastal area employed in fishing. This was the forerunner of the modern village and up to one hundred men were employed fishing out of the estuary here until the advent of Howth Harbour in 1820. Baldoyle will best be remembered for its horse racing course which was established in 1852 and closed in 1972. 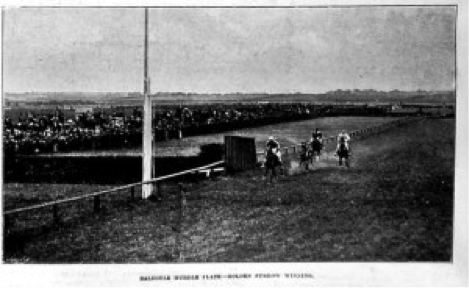 The most important races in Baldoyle were The Baldoyle Derby and the Baldoyle Steeplechase. Many will remember the name of Baldoyle as the home of the famous Little Willie Hospital and as a Novitiate for the Irish Christian Brothers. 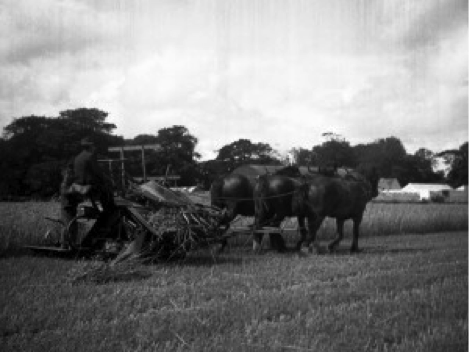 From the early 1960s the ever stretching limits of Dublin city clutched at huge tracts of farmland and we saw the disappearance of farming as a way of life here. Today Baldoyle is a major suburb of the city but it does still mark the northern fringe of the city.